A rare opportunity to step back from your every day life in an enchanting setting and give yourself the time to explore your relationship with food & your body in depth. This retreat will transform the way you think about eating and weight loss for ever. Brilliant. Brilliant. Brilliant! I have been on many retreats and this one tops the lot. Kind, challenging, evocative and holding. Brilliant people, brilliant venue & brilliant food. Loved every minute! This retreat started the journey of an awakening for me. My thoughts are no longer pre-occupied with what diet to do or with self loathing about my body and it’s size. Beyond Chocolate has created freedom for me to get on with my life. I would encourage anyone to attend the retreat. I got what I wanted from it which was to feel confident about stopping dieting. And I got a whole lot more…a whole life that now looks very different to my life before! What happens on a Beyond Chocolate Retreat? Practice the Beyond Chocolate approach 24/7 with a group of like minded women and expert support from the founders and their team. Beyond Chocolate in Motion: exploring the principles through dance and movement…this is exercise redefined! 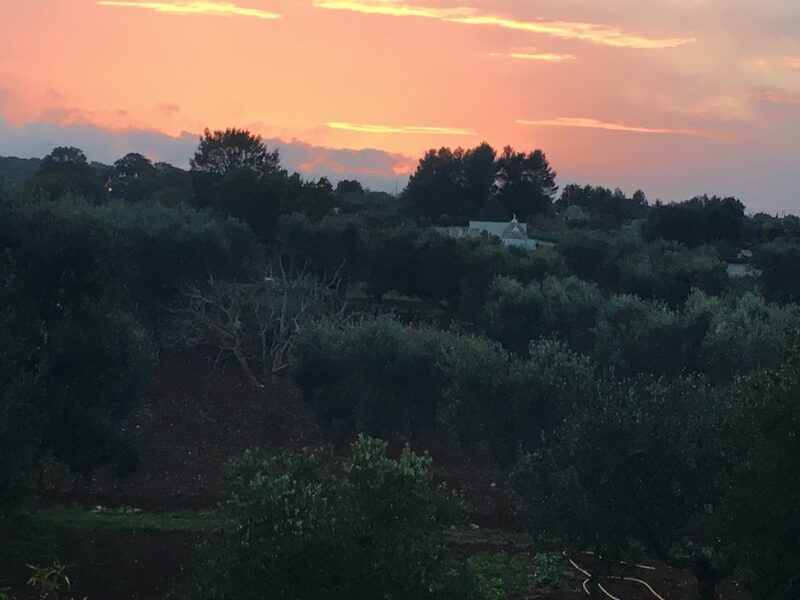 Plenty of free time to rest, soak in the pool, walk in the olive groves, connect, have fun & just BE! An optional visit to the local town. We accept a maximum of 6 people on our retreats which means there is plenty of time for all the guidance, support and learning you need. Like all our workshops, the Retreat is experiential which means that you will be experiencing and experimenting with the approach first hand rather than listening to endless presentations. There’s nothing to do with our relationship with food and our bodies that we won’t talk about or explore. The awareness and know-how all participants come away with is often mind blowing and transformative. There are many ah-ha moments, sometimes tears and much laughter. At Beyond Chocolate we do things with kindness and gentleness. We don’t push you or make you do anything. We will gently invite you and challenge you to experiment, so that you make changes at a pace and in a way that is right for you. 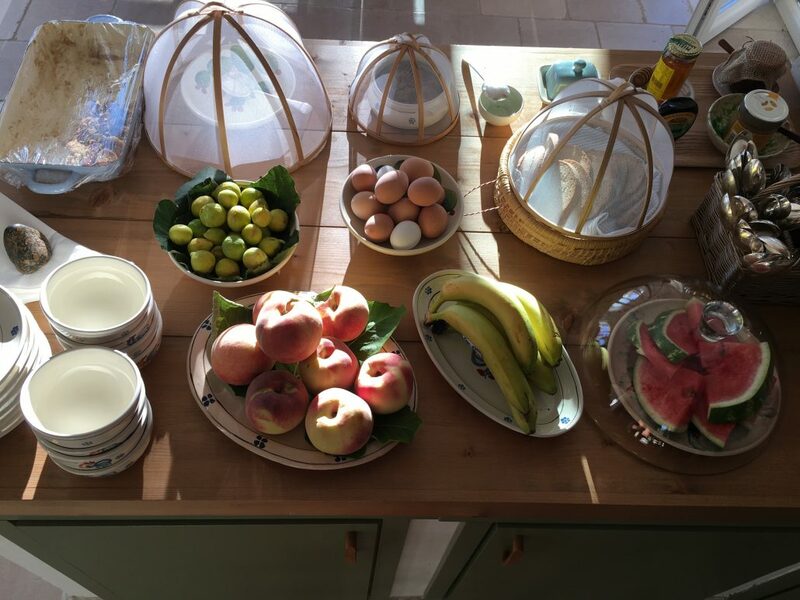 Every aspect of the Retreat is geared to supporting you to make changes in the way you eat and the way you feel about your body so that you can approach weight loss, body confidence and life with a completely different mindset…with the understanding, tools and support to put it all into action! Exercise and fitness: rethinking the way you MOVE! Creating your Beyond Chocolate action plan to support yourself going forward. 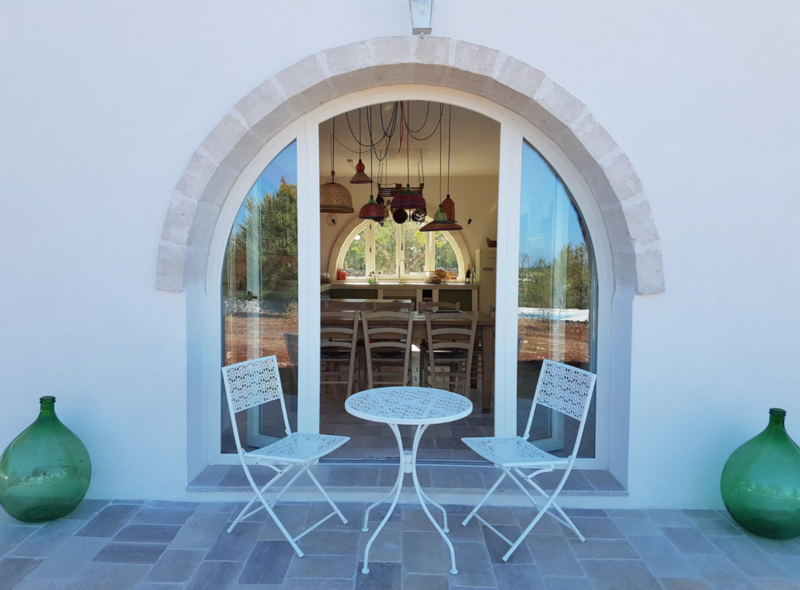 Casa Terossa is a stunning, newly built villa and a renovated trullo nestled peacefully amongst the olive groves of Puglia, one of Italy’s most beautiful regions. 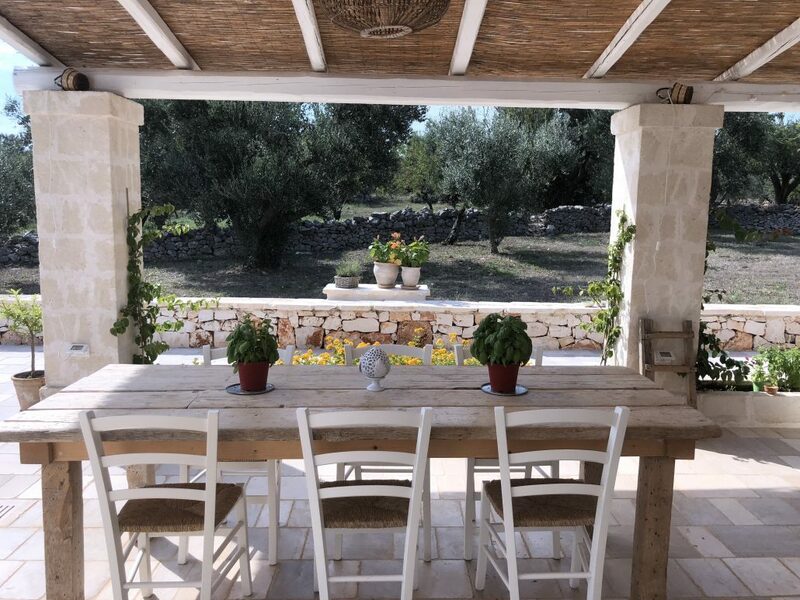 Staying true to the traditional Apulian style, the villa has been built out of local stone and looks like it has been there for years… Casa Terossa provides an idyllic setting for the retreat. 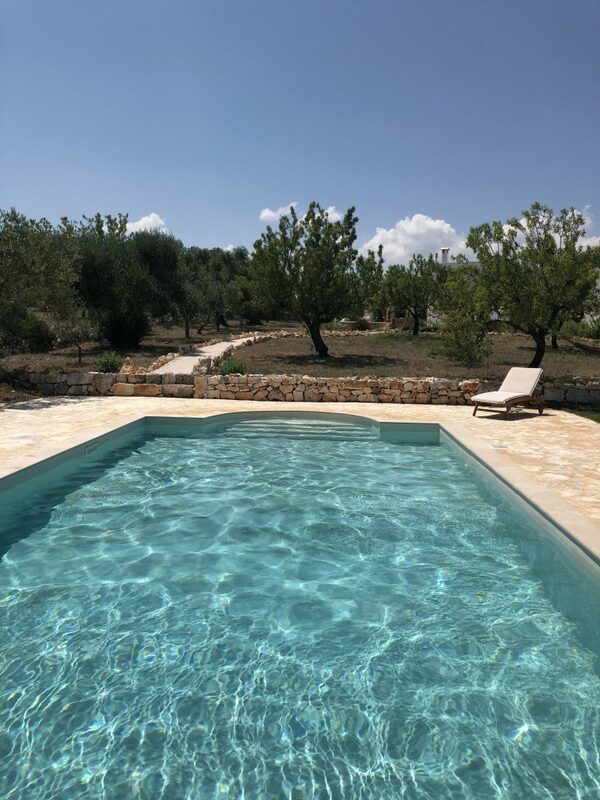 The villa spreads out over a 2 1/2 acres of land dotted with olive, walnut, fig and almond trees and boasts a gorgeous saltwater pool and plenty of terraces and secluded nooks to retreat to. 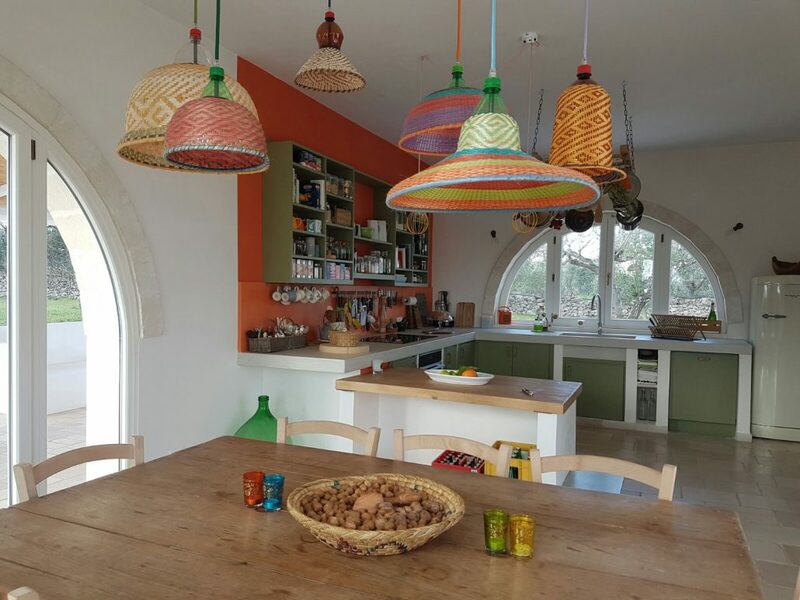 A trullo is a beautiful, traditional stone building with a conical shaped roof. The two single occupancy rooms are lovingly decorated. They both have air conditioning and a shared a bathroom. One is slightly larger with a double bed, the other, smaller room has a single bed. 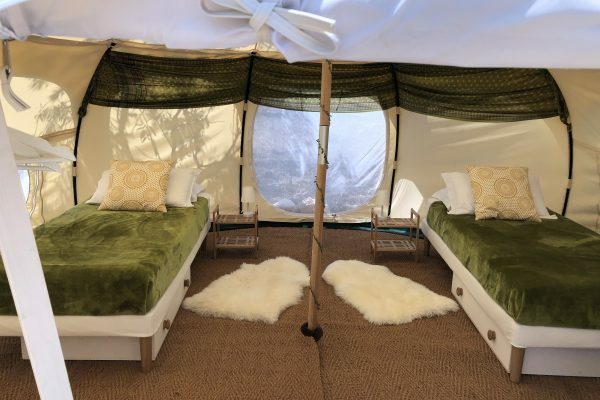 A Fabulous Lotus Belle tent with a proper bed, pillows, and all the home comforts you’d expect in a house. There is a bathroom a few steps away with a private (hot) outdoor shower with beautiful views! (not really like camping at all). 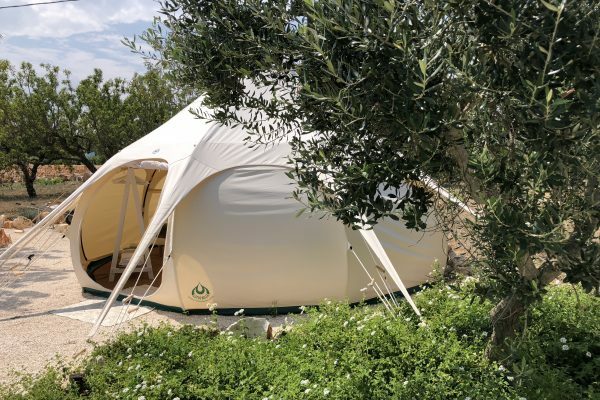 A 5m Lotus Belle tent with three proper beds, pillows, and all the comforts you’d expect in a house. There is a bathroom a few steps away with a private (hot) outdoor shower with beautiful views! (not really like camping at all). There is a session with Audrey in the kitchen, preparing some of the delicious food you’ll be eating. We use high quality, local produce (often freshly picked from our neighbour’s lush vegetable garden just over the wall), never cutting corners, catering for everyone’s preferences, allergies and intolerances with grace and generosity. The menu is built to suit our guests’ specific dietary requirements whilst offering opportunities to explore new ingredients and cooking techniques. Every meal is freshly prepared, with attention to detail, care and passion. And mealtimes are an opportunity for exploration too – we’re eating and that’s what we are there to explore after all. So that’s what we do. 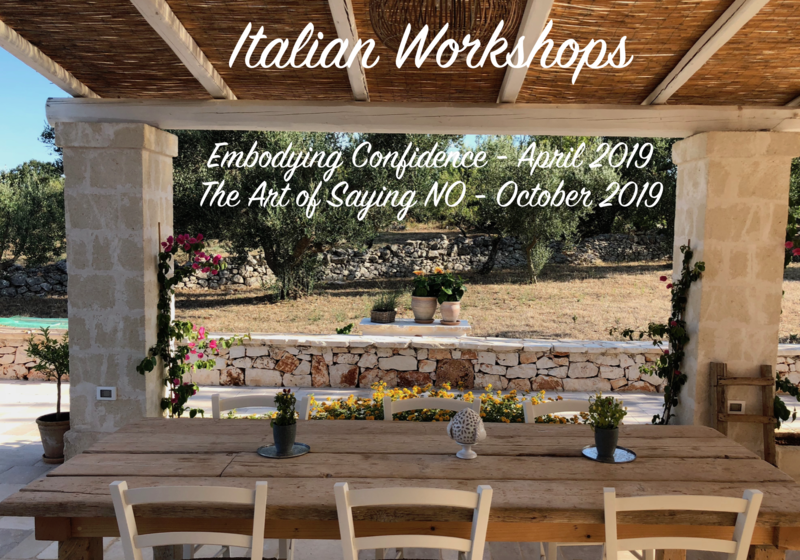 Whether you’ve been experimenting for a while and feel ready to take Beyond Chocolate to the next level or you have just started and want to immerse yourself in the no diet approach, this retreat is definitely for you. You will come away understanding more about why you eat the way you do and how to make the changes you have been longing to make. You’ll leave feeling empowered, confident, free and in love with food all over again. We often find that participants come to our retreats more than once. For some it becomes an annual treat. A place to tune in, a time and space to listen to themselves and be nourished and held. A precious time out of time which allows us to go back to our lives truly refreshed and restored. Not sure if it’s right for you? If you are looking for the answers to these questions, the Retreat is for you! What stops me feeling at peace with my relationship with food and my body? How do I resist doing the very things I know would make a difference? What is it that drives me to overeat? How do I deal with sadness, boredom, frustration, loneliness, anxiety? What is at the heart of my struggle with food? How do I work with Beyond Chocolate, what place does it have in my life, how do I slip in and out of the diet mentality? How do I stop life getting in the way of a more satisfying and balanced relationship with food? The Retreat was fantastic! It was eye-opening and life-changing, and yet, presented with simplicity and humour. I love the way the group felt like old friends in no time and, as we parted, there was much laughing and camaraderie from joint experiences. My advice to anyone considering coming on the Retreat? Just do it! This life changing week is an opportunity to work more closely with Beyond Chocolate founders & authors: Psychotherapist Sophie and Food & Mindful Movement Coach Audrey. Sophie, Audrey and the team create a safe and nurturing space for you to live, breath and (literally!) eat the Beyond Chocolate approach for a whole week. Sophie and Audrey have been working in this field for over 17 years, supporting and guiding desperate dieters to ditch the diets, stop obsessing about food their weight, stop overeating and transform the way they eat and feel about their bodies. They are friendly and approachable and will encourage and gently nudge you step by-step to find that freedom from food and weight obsession that you deserve, with kindness, compassion and with tools that are straightforward and doable. Sophie, Audrey and the team were so open, inspiring and full of compassion. I feel ready to make truly lasting changes in tiny steps. I have found the joy of eating again, rather than seeing it as a punishment. 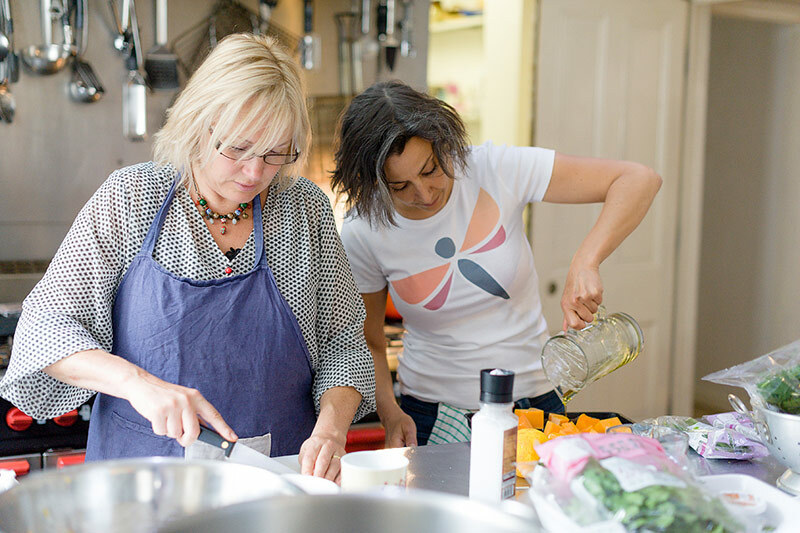 Discovery, laughter, movement, cooking, support, connection, inspiration and fabulous food…just for you. The cost of the Retreat does not include flights and travel to and from departure airports. 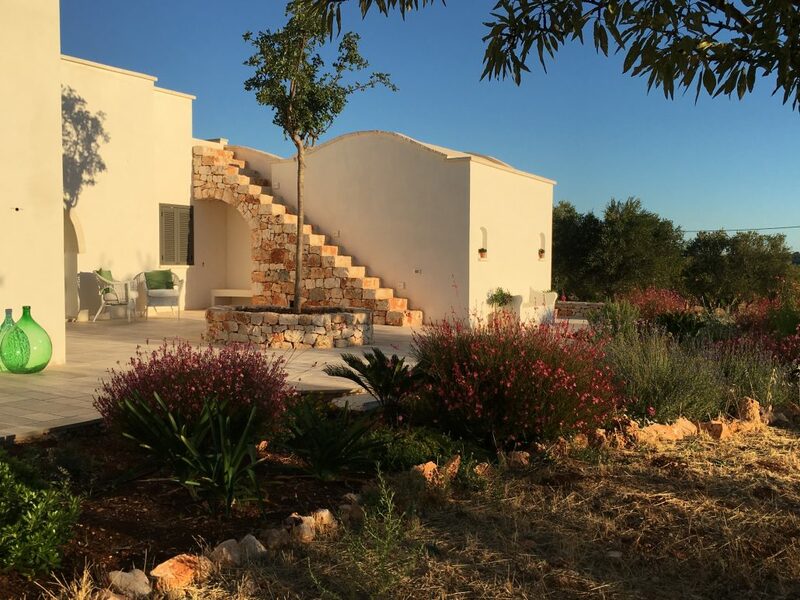 Accommodation in all rooms in the trullo and glamping includes bedding and towels, including pool towel, toiletries (shampoo, shower gel, toothpaste etc) as well as three freshly cooked meals a day and refreshments. Not just a retreat … There’s more! A three month support programme with Sophie and Audrey. Transfer the skills and insights you gain on the retreat into your every day life with ongoing support from Sophie & Audrey. A dedicated, closed FB group where you will post your DAILY actions. 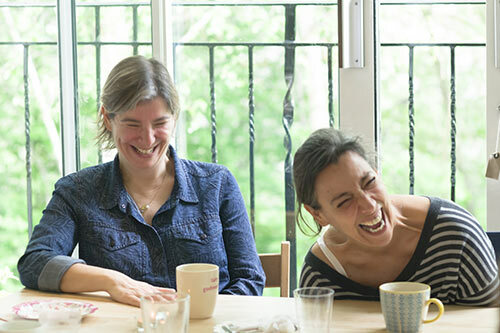 Starting from the very day you leave Terossa, Sophie and Audrey will be there every day to guide and support you as you practice everything you’ve learned together on the retreat. You’ll feel the huge benefits of doing this work and making real changes in your life with the support, encouragement and inspiration each one of you brings to the group. Start, pause or end your day with Audrey as she takes you through the 20 minute body scan you did each morning with her on the Retreat. Audrey will be holding 3 online sessions on Monday 24th September at 7am, 1pm and 7.30pm. You can attend one or all of these sessions and they will all be recorded and available to download in video and/or audio so that you can use them as often as you want to establish your own movement practice. A day to get together and re-connect in the new year. We will be re-creating the days at Terossa in the heart of London. The workshop starts with morning movement, a session with Sophie to revisit key themes, a ‘working’ lunch and a dance session to end the day, a time to celebrate and look forward to the future. A lifetime membership to the online course if you don’t have it already. The online course provides a structure to guide you with audio downloads, action ideas, worksheets and more. Enjoy the music you moved to very morning in your own time and space. The Italian Retreat is the first step in the Beyond Chocolate Professional Training. If you would like to use the Beyond Chocolate approach with your clients, or you’d like to run groups and workshops, this training will give you all the understanding, tools and materials to need to integrate the Beyond Chocolate principles into your work. We know that as professionals the best way to guide and support our clients is to do the work ourselves first. Our philosophy is based on the belief that engaging in experiential training develops the best in us as practitioners, whatever our field. If you would like to use the Beyond Chocolate principles and tools with your clients, this programme, starting with the retreat, will give you first hand experience of our approach. The Professionals’ Training Option will provide you with the materials and knowledge to integrate Beyond Chocolate into your existing practice or to start running groups and workshops yourself. This option is suitable for psychotherapists, counsellors, dieticians, nutritionists, doctors, nurses, personal trainers, personal coaches and other therapists who work with people who want to explore their relationship with food and their bodies. Everything in the Personal Support Option above – that’s the starting point; our own relationship with food and our bodies. In addition to the Personal Support Option there are 3 professional modules. As you work through the Beyond Chocolate Online Course lessons, you will be submitting Lesson Logs detailing your experience and reflections on each principle, both from a personal and professional perspective, beginning to integrate both in your thinking. This session with Sophie & Audrey will look at how you use the Beyond Chocolate principles in your practice and explores the professional perspective of our approach. You will also be given all the materials (professionals’ Handbook and workshop outlines) with exercises, worksheets, visualisations and other documents. Once you have completed this session, you will have the option to sign a one year licence agreement which gives you the legal right to operate as a Beyond Chocolate Trained Professional and ensures your right to use all our materials. If you have not yet completed the Case Study and Lesson Logs, you can sign the agreement as soon as you have completed these two modules. The session takes place in London and may be shared with other trainees. Please customise your Italian Retreat below. Once you are happy with your package click on Add To Basket to secure your place!